There are officially 67 days until the toe meets the ball at AT&T Stadium where the Dallas Cowboys will host the New York Giants on NBC’s Sunday Night Football. Hump Day! Congratulations on making it to the middle of the week. Today we’re going to dive head first into one of the prime numbers on this list, the Greatest 67 in Dallas Cowboys History. Please keep your hands and feet inside the railing at all times, flash photography is permitted. The great number of 67 boils down to three contestants: Pat Donovan, Russell Maryland, and Pat Toomay. The 1970 NFL Draft yielded a Vanderbilt product by the name of Pat Toomay. This 67 saw the field sparingly in his first two seasons, although he did pick up a Super Bowl ring in 1971 until he saw full-time starting duty in 1972. Toomay became a solid defense end amongst the ranks of the Doomsday Defense and even led the team, unofficially, in sacks in 1973 with 10.5. Toomay is sometimes most remembered for his involvement in the “Zero Club” on the Cowboys, a crew that prided themselves on how hard they worked and steered away from the limelight. Ultimately Toomay was traded to the Buffalo Bills in 1975 or a second round draft pick, which ultimately became part of the package that the Cowboys used to go get Tony Dorsett. Speaking of NFL Drafts our next 67 was king of his. Russell Maryland was the first overall pick in the 1991 NFL Draft, hailing from Jimmy Johnson’s University of Miami. As most first round draft picks do, let alone first overall picks, Maryland started his rookie season at his defensive tackle position. He immediately showed his a relentless effort that helped catapult his defensive line unit to the top of the NFL. Maryland was a staple on the defense of the 1990s Cowboys Dynasty and was a huge reason why they won three Super Bowls in four years. We spoke about the “Dirty Dozen” draft class (the 12 rookies from the 1975 NFL Draft) yesterday with our Greatest 68 in Dallas Cowboys History, Herbert Scott. Herbert wasn’t the only great offensive lineman found in that draft as the Greatest 67 in Dallas Cowboys History, Pat Donovan, was taken also. 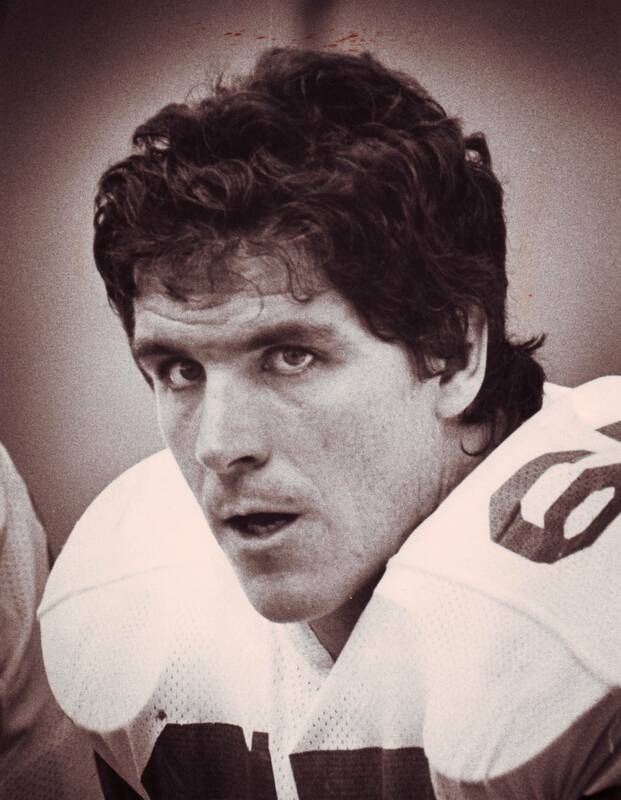 Pat Donovan actually played defensive end at Stanford University. It wasn’t until three days in to his rookie training camp that, out of necessity, the Cowboys tried him out on the offensive line. Donovan saw some action at both the right and left tackle spots early on, but when our Greatest 70 in Dallas Cowboys History, Rayfield Wright, got hurt in 1977…Donovan seized his opportunity and never looked back. When Rayfield returned in 1978 Donovan danced on over to the left tackle spot, and the blind side was his. Donovan was a part of the “Four Irishmen and a Scott” offensive line unit (Donovan, Herbert Scott, John Fitzgerald, Jim Cooper, and Tom Rafferty) that blocked day in and day out for Pro Football Hall of Famer Tony Dorsett. Pat Donovan never missed a game in 9 seasons with the Dallas Cowboys, and he outlasts some intense competition to become the Greatest 67 in Dallas Cowboys History. Check back tomorrow to find out who the Greatest 66 in Dallas Cowboys History is! Tell us what you think about "Donovan Is The DonoMAN: #67 Is Pat Donovan" in the comments below. You can also email me at RJ.Ochoa@SlantSports.com, or Tweet to me at @RJOchoa!